Brian is a native Californian and was raised on the same property that he farms today. His family moved to Suisun Valley when he was 5 years old, and he can't imagine a better place to live. In fact, his children attend the same Elementary school that he did growing up! Living his life on the ranch has prepared him for the jobs he has today. Growing up, he helped his family pick cherries, pears and plums and sell them at their fruit stand on the property. 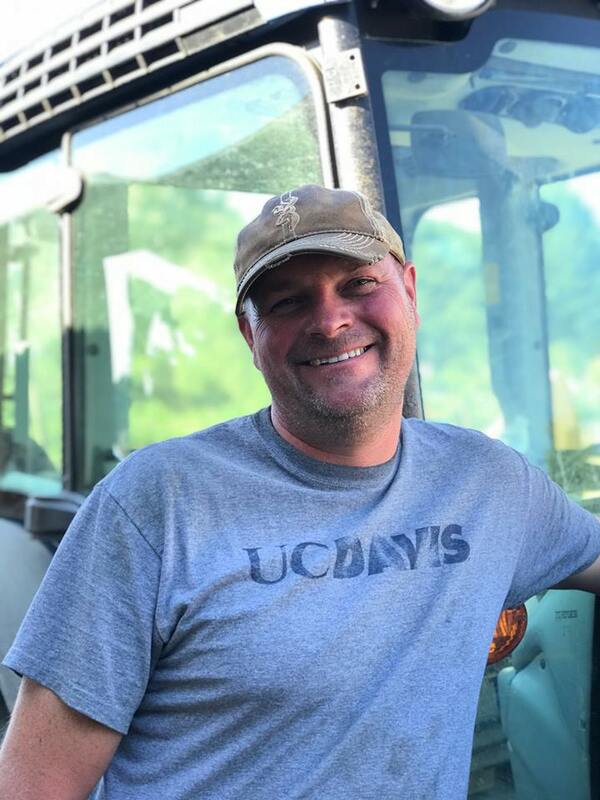 After attending High School in Napa, CA, Brian set his sights on a career in wine and farming. He graduated with a Bachelors of Science in Viticulture and Enology from UC Davis. He took his knowledge and jumped into the wine field working at various wineries in Napa County. He has held many different positions including: Lab Technician, Cellar Worker, Harvest Assistant, Production Enologist, Assistant Winemaker, and finally Winemaker. Before returning home to work the family land, Brian spent 10 years at one of the 3rd largest wineries in the country. There, he perfected his winemaking skills and helped lead a team to produce much of the wine currently found on the store shelves. Brian is so happy to be home on the ranch, working the land and hand crafting the wines that we are so proud to serve to you. Winemaking is not only a science, but an art. Brian knows this well and works tirelessly to bring you the best wines possible.